By Sia in Internet. May 10, 2017 . Shortly after being hit by a surprisingly well made phishing attack, Google has begun rolling out some new security measures specifically for Gmail for Android that would give users a heads up on potential phishing attacks. 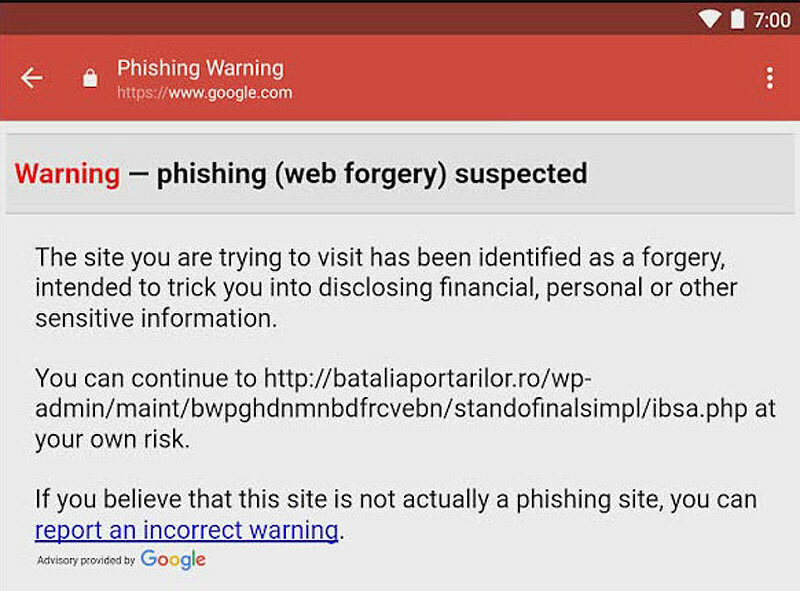 Rolling out to all Gmail for Android users within the next couple of days, the application will now warn the user whenever they click on a link that is reported to be fraudulent. Assuming that the user believes that the website is legitimate, they can then opt to continue to the webpage at their own risk. In the event that the link was incorrectly flagged as a fraudulent website, Google has also provided the means for users to correct them on it, as the warning comes with a link that allows users to report a falsely flagged website. Considering the fact that Gmail was just recently affected by a large scale phishing attempt, some will wonder why Google did not implement this system until now. That being said, taking into account how that particular phishing attack functions, this system would not be able to stop it. Nevertheless, it’s better to be late than never in this case.